As mobile devices become ubiquitous in K-12 facilities university and college campuses, many institutions are saddled with outdated educational wireless networks that can’t support traffic demands. Mann Wireless has extensive experience working directly with educational organizations to design seamless wireless network in-building and across campuses – as well as consulting with architects and engineers hired to technologically update facilities. Our custom wireless designs support mobile devices such as laptops and tablets as well as traditional cellular phone service with affordable, accessible, scalable and intelligent solutions. We are highly experienced in designing and installing systems that support all major commercial carriers, 3G/4G (LTE) protocols and private land-mobile radio (LMR) and public safety technologies. We also have unparalleled subject-matter expertise in the most current distributed antenna system (DAS), small cell, bi-directional amplifier (BDA) and repeater technologies in the wireless space, allowing us to design custom solutions for your educational institution. 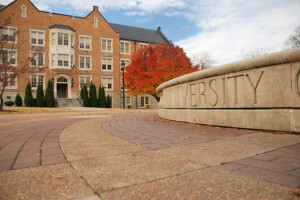 Whether the need is for carrier coverage on campus so faculty and students can stay connected or land-to-mobile communications capabilities for first-responders and emergency use, we can develop a custom system to meet your unique requirements. Our solutions include powerful management platforms to fully integrate campus-wide equipment functionality, daily operations, troubleshooting and maintenance tasks and remote monitoring.